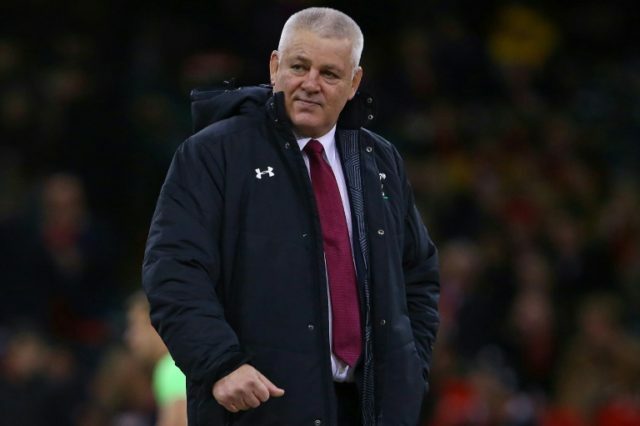 Cardiff (United Kingdom) (AFP) – Psychological one-upmanship will be up for grabs when Wales host Australia on Saturday in a dress rehearsal of what has been billed a pool-deciding match at next year’s Rugby World Cup. The two sides will clash on September 29, 2019, at Tokyo Stadium in what many reckon will be the game that decides the winner of a Pool D that also includes Fiji, Georgia and Uruguay. So there is all to play for at Cardiff’s Principality Stadium, not least to boost confidence levels and test squads’ strength in depth. Warren Gatland’s Wales come into the fixture on the back of a 21-10 victory over Scotland, their sixth win on the trot. “In the past, we haven’t been great starters in the autumn,” the New Zealander said. “It’s tough when you haven’t been together for four months and you normally come up against either an Australia, South Africa or New Zealand, who have just come off a Rugby Championship. It is not the easiest thing in the world. Plus, there is a lot of expectation. “We’re disappointed with the run of losses we’ve had against them,” he acknowledged. “But if look at how close a lot of those games have been, I think there’s been something like seven points the difference between us and them on average over that period, less than a score in it on most occasions. They have all gone right down to the wire. Looking ahead to the World Cup in Japan, Gatland added: “This game is important for the next 12 months. It is not the most important, the pool game at the World Cup is going to be the most important one. But the Australian was adamant that the match was a “great opportunity for us to take their scalp”. Wales, he added, are “always very competitive across the board. Gatland is one of the best coaches in the world and he has had success with the (British and Irish) Lions and Wales. He has got a very well organised, well drilled team and that is why they are at the position they are”.